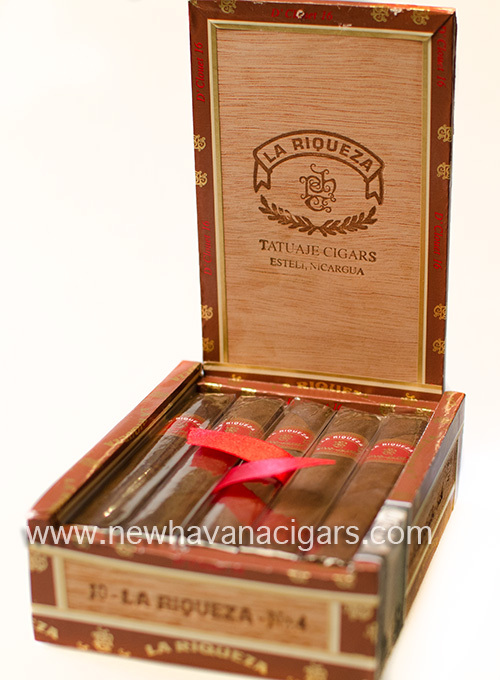 A staple brand from Tatuaje creator Pete Johnson, La Riqueza means "The Wealth" in Spanish. Nicaraguan Binder and Filler are encased in a Dark Natural Connecticut Broadleaf Wrapper. They are traditionally box pressed in the box. La Riqueza is an old cuban brand name from the 1920's that was made in the Quintero factory in Cuba. The artwork replicates the original with a few updates, of course. Rolled at My Father Cigars in Esteli Nicaragua.